So bees, they pollinate plants to aid in the reproduction of flowering plants species. These yellow and black pollinators also produce a sweet sweet elixir that so many love, HONEY! In Australia there are 10 different species of sting-less bees that only more to a few millimetres; literately taking the sting out mutually benefit relationship. There are a number of companies who have started up programs in major cities around Australia. Two notable organisations in Melbourne are the 'Urban Honey Co' and 'Melbourne City Rooftop Honey'. They are spreading a love of beekeeping and honey :) with hive sponsorship programs, beekeeping course and of course lots of delicious locally made honey. 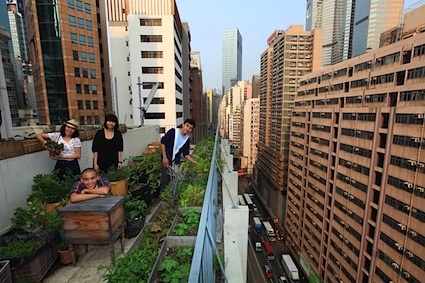 A cool initiative to bring essential elements of nature back into urban areas. These hives are often put on rooftops and other secluded places, away from passers by. You can register your own hive and become a hobby beekeeper, donate a space where you live for a hive to be located, or just support these urban beekeepers with the purchase of their amazing local honey.